This little ellie is called Bella and how cute is she? She is available at Dies to Die for now along with her in deifferent poses. I have stamped Bella's Birthday out with Memento Tuxedo Black ink and coloured her with Copic Markers adding a little Spica in places. I have cut her out and mounted to DB Fairy Dust CS and added her to the base with 3D adhesive squares. 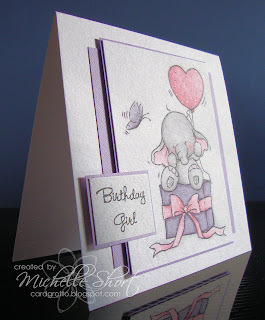 For the base I have simply taken I have then taken a white card blank and added a layer of DB Gumdrop CS. I have stamped the sentiment from the MFT A La Modes Birthday Girl set on to white CS and then mounted with more Gumdrop; added to base with a double layer 3D adhesive on one side and ATG adhesive on the other. STAMPS: Wild Rose Studio, My Favourite Things. INK: Memento Tuxedo Black. COPICS: N0, N1, N2, R81, R83, V20, V25, Blender, Spica 00 Clear. 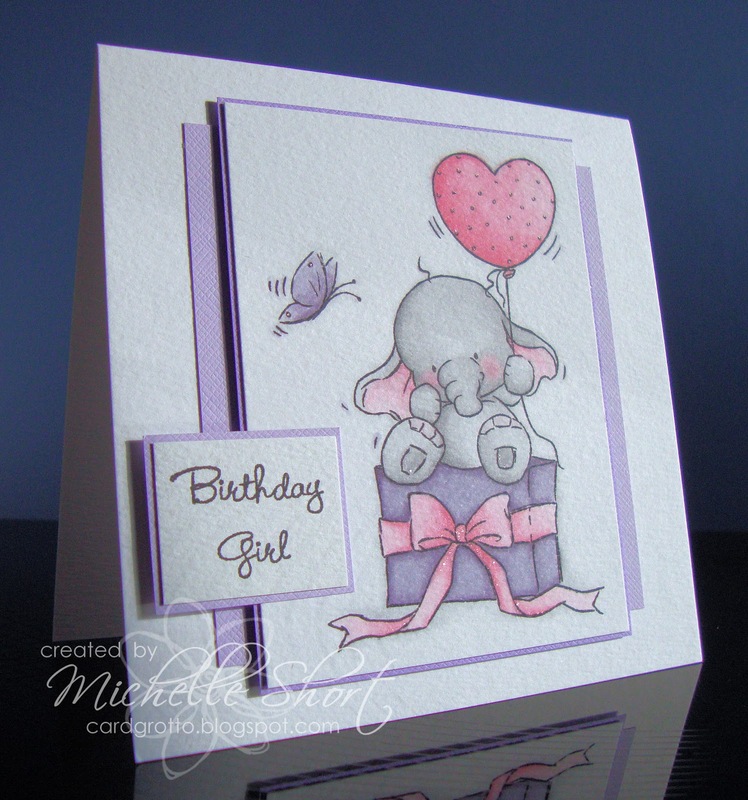 CS: Craftwork Cards, Doodlebug Designs. Thanks for visiting today, I am hoping to get some stuff on eBay this afternoon. Have a great day! This is a beauty. So soft and sweet. Such a beautiful card Michelle. 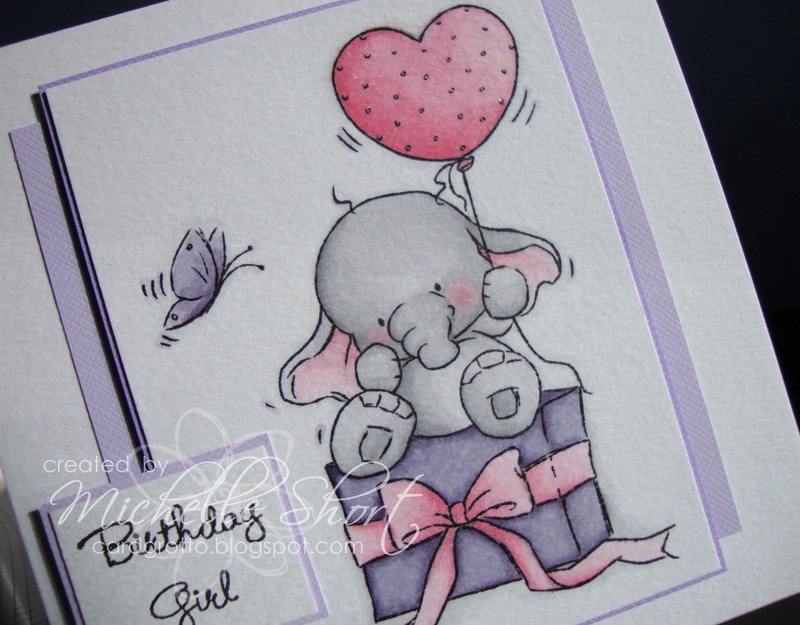 Love your soft colouring and the pretty colours. This is gorgeous Michelle & such a sweet image..